What better way to celebrate the 30th anniversary of your debut LP than by releasing a live album version of it all. 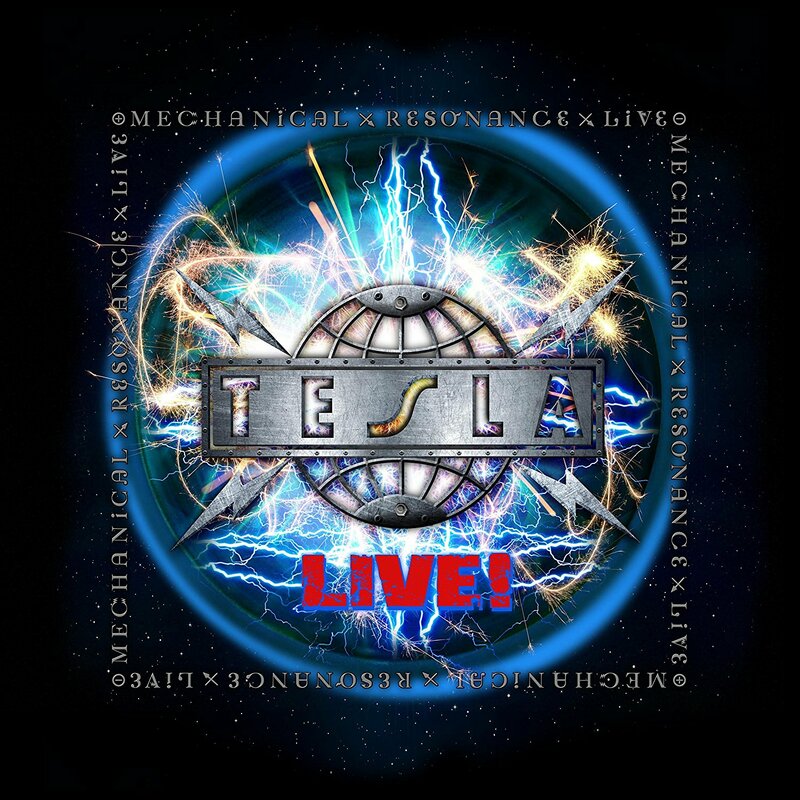 All the songs that were on that debut disc “Mechanical Resonance” by American hard rock band Tesla are here on this live album. Plus, as a bonus, their single “Save that Goodness” written and produced by band friend Phil Collen of Def Leppard. The running order of the songs may have been changed to suit a better live set, but for that they lose none of their punch and dynamics. 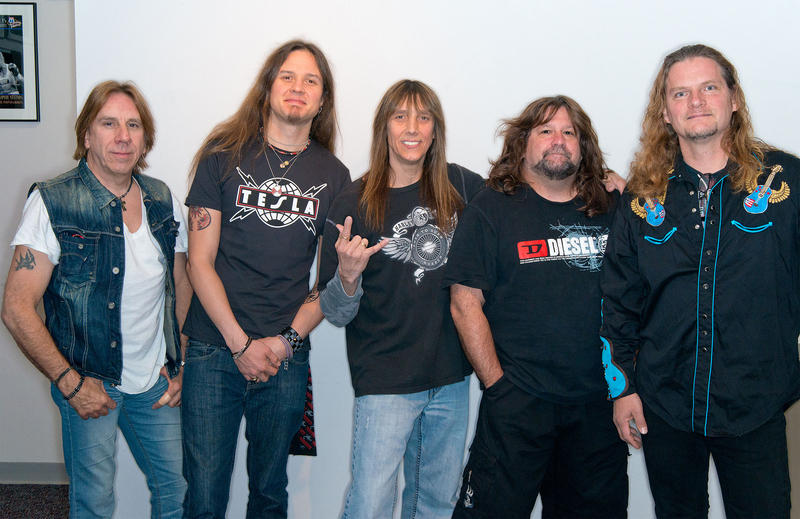 Tesla is probably not a name that drops off everybody’s tongue when asked for a hard rock band. But as they have been around for thirty five years (apart from a break between 1990-96), have released seven studio albums (“Bust a Nut” from 1994 being probably their best received), two well received cover albums, five live albums, and sold over fourteen million records worldwide, perhaps they should be. From the opening song on this offering, “Rock Me To The Top”, you know you are listening to a first rate rock band and masters of their craft. The dual guitars of Frank Hannon and Dave Rude weave in and out of the mix, sometimes combining, and sometimes breaking out into screaming solos of their own. American hard rock band, Tesla. Jeff Keith has long been recognized as one of rock’s most original vocalists as well as a front-man that has to be seen to be believed, but choreography has never been a word in his vocabulary and the rest of the band, whilst playing live, are to be commended by keeping out of his way most of the time. But where Tesla really hit the groove is in the rhythm section and there probably isn’t a better bass guitarist in rock music than Brian Wheat, his thumping bass notes holding each song together. His impact is most keenly felt on the mid-set highlight “We’re No Good Together”, which starts off as if it is going to be a ballad until it breaks into a rock’n’roll celebration of a relationship breaking up, making you both smile and rock at the same time. But it’s Brian Wheat’s change of tempo and key that sends the song into the stratosphere. That’s not to say that Troy Luccketta is any slouch on the drums. He keeps up with Wheat on every beat, giving Tesla the foundation to build on to give them their characteristic sound. Tesla, a band well worth looking into.